The 2013 FA Cup Final will be a contest between the reigning Premier League Champions, Manchester City and Wigan Athletic at Wembley Stadium on the 11th May 2013. Having knocked out Chelsea in the semi-final stage, Manchester City are the overwhelming favourites, however no one can ever write-off a Wigan Athletic side which has shown great resilience, flair and ability to reach the final of the World’s greatest cup competition. Wembley Stadium has capacity for 90,000 spectators. With its dramatic design and emphasis on spectator enjoyment, any supporter attending Wembley for the first time will be ‘blown away’ by the atmosphere such a stadium design generates. With steep-sided grandstands, and no perimeter running track, you never feel far away from the action on the pitch. With some 90,000 spectators expected to be attending the FA Cup Final, traffic in the vicinity of Wembley will be at a stand-still. Train carriages will feel more like ‘cattle wagons’ and scheduled flights to London from the North West will be charged at a premium rate. 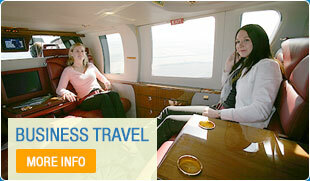 To ensure you don’t miss any of the action, why not consider chartering a helicopter? With pick up locations around the North West and a landing site in Wembley, just a short 10-minute walk from the stadium, why endure the frustrations of conventional means of transport when we can transport you and your guests in comfort at a time of your choosing? Without the need for airports, a helicopter charter in many instances can be a ‘door to door service’. The helicopter will then be yours for the day. The schedule will of course be for you to decide as opposed to working to the airline’s or railway operator’s timetables. Indicative flight times from Manchester and Wigan:- 1 hour 25-minutes each way. Call now on 01256 635000 to enquire or book your helicopter charter to the 2013 FA Cup Final.